Enjoy quality facilities and service at this top-rated park. Whether you like to relax in the pool or sit under a shade tree, there is a perfect spot for you! Our beautiful reception hall is perfect for any occasion. The park is lovely. 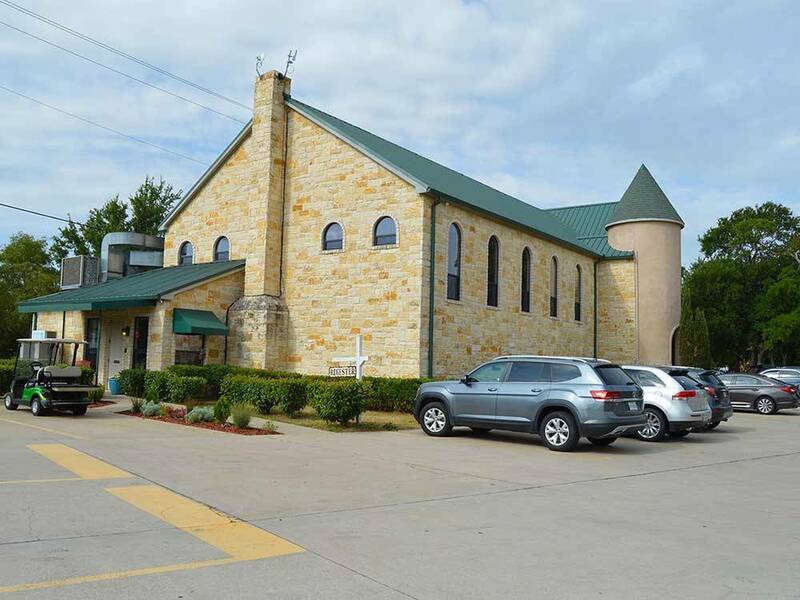 We were traveling across country staying only one night at each campground, therefore we did not connect to water or sewer knowing that there were clean modern restrooms available. BUT, they are not available 24 hours a day. All buildings are locked from 10 pm to 6 am. The nearest gas station is 15 minutes away! Not acceptable for 65 + year olds. Many other places we have stayed have keypad locks and they provide you with a code to open the bathroom doors. We probably won’t go back. Very clean and comfortable park. Great WiFi, nice amenities. Only downside is it's proximity to I-20, lots of road noise in the spots near the highway. My site had almost solid grass burrs instead of grass but could be solved with some pre-emergence chemicals. I would stay here again, but would prefer a spot further back in the park away from the highway. We spent 11 days or so in this park, it was a wonderful park. The pool, bath/shower's, laundry rooms were all very clean. Used the Kitchen area for a dinner area and it was great, it had so many utensils was equipped very well clean and an enjoyable area for all of my family. The office staff was VERY KIND, POLITE AND PROFESSIONAL. It's near the highway an we were up in the front of the park and with the air on in the trailer traffic was not noticeable. GREAT PARK WILL BE BACK!! 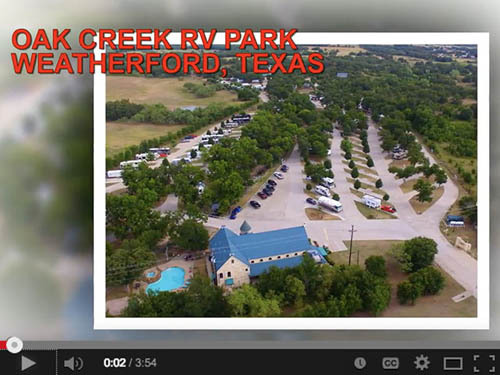 We stayed one night at Oak Creek RV Park. It is privately owned. We liked that the bathrooms were clean, the staff was friendly, and there was a recreation room. There was traffic noise since it is next to the freeway, but with the air conditioning on, it didn’t bother us. The park was very clean. There were quite a few long term campers with fencing and decorations around their campsites, but the few people that we came in contact with were friendly. Overall it was a pleasant experience and we will probably go back. We've stayed in 9 different parks in the last 3 months. All the parks we're good, but none came up to the 5 star level of Oak Creek. Good layout, children and pet friendly, great facilities. If your traveling in this area, Oak Creek is a must. This is one of the loveliest parks we have stayed in. Friendly staff. Generous sites. Beautiful surroundings. The freeway traffic is a bit loud but the access is great. A 10 in my book. This is one of the nicest places we have stayed. The only negative is the noise from the Interstate!! I would stay again, but i would bring ear plugs to block the noise. The park has both long-term and short-term sites. The short-term sites appeared to all be pull throughs. I stayed for one night on two occasions on a recent trip. The facilities are first rate. The maintenance of the park also great. For pet owners - most of the park is free of sticker-producing weeds. Staff was friendly and helpful. Will definitely use again!